Hi everyone and a happy Tuesday to you! How was you week last week? Did you guys do anything fun, exciting, scary?!?! Tell me about it in the comments below! We had a fun week full of surprises (you will have to wait to find out, muahh hahaha hahaha hahaha), candy, costume dress up fun, baking and crafting…. That’s my kind of week! First thing we did was attend the Fall Fest at my church… It was a blast!!! We had a costume contest and my family went 70’s! My little had a onesie that was printed with a vest, aviator sunglasses, a peace sign necklace and chest hair haha…. 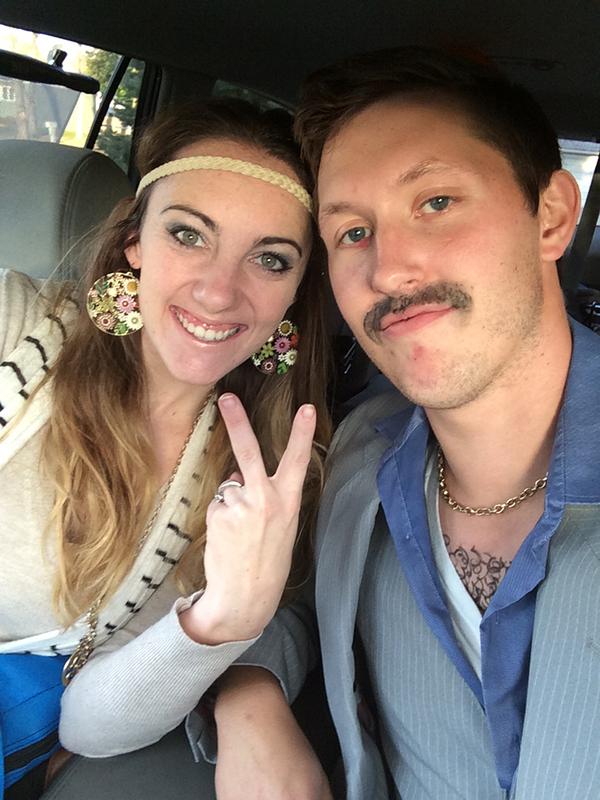 Then the hubs and I raided our closets to get our 70’s outfit…. and let me just say, we looked awesome haha…. So bad blogger moment.. this is the only picture I got haha…sorry! Like the hub’s facial and chest hair hahahaha… oh BTW we won the costume contest!! Whoot whoot! Then after that we had Halloween night. 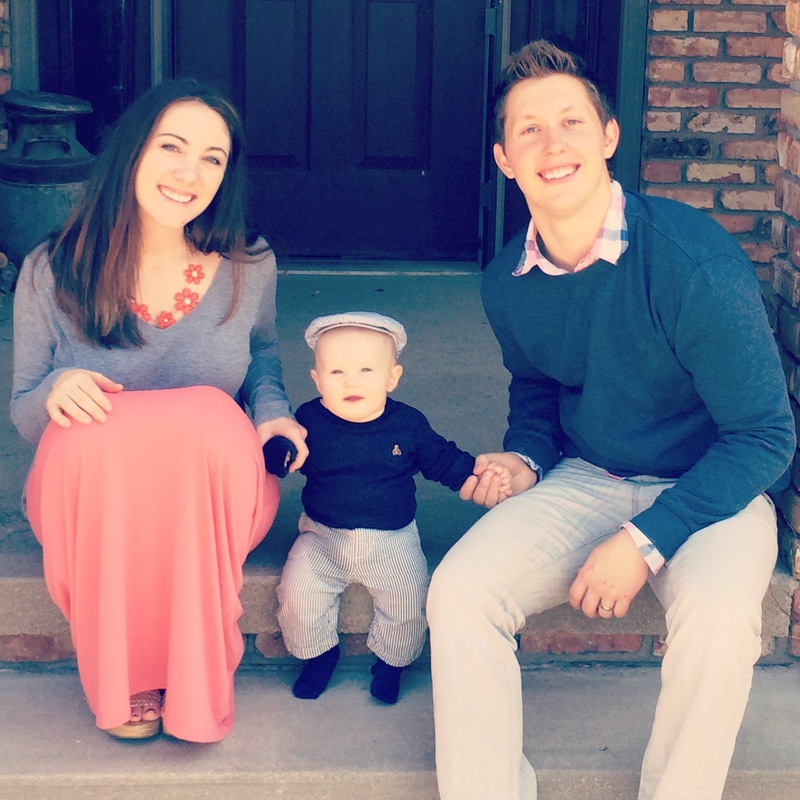 Here in the mid-west it was cold, I mean like 28 degrees during the day cold… so we bundled my little up and took him to a local church that was hosting a Trunk-or-Treat. He had so much fun looking at all the lights even if it was a bit chilly out! 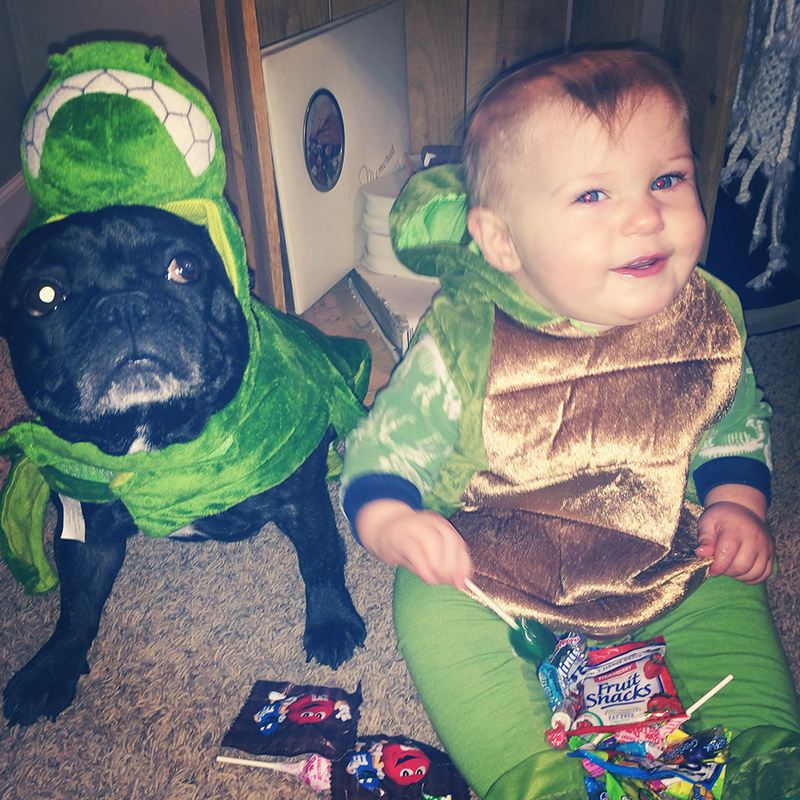 This year he was a T-Rex and our Frenchie “Pig” was also a T-Rex… haha too cute! Here are my two little T-Rex and their candy loot! 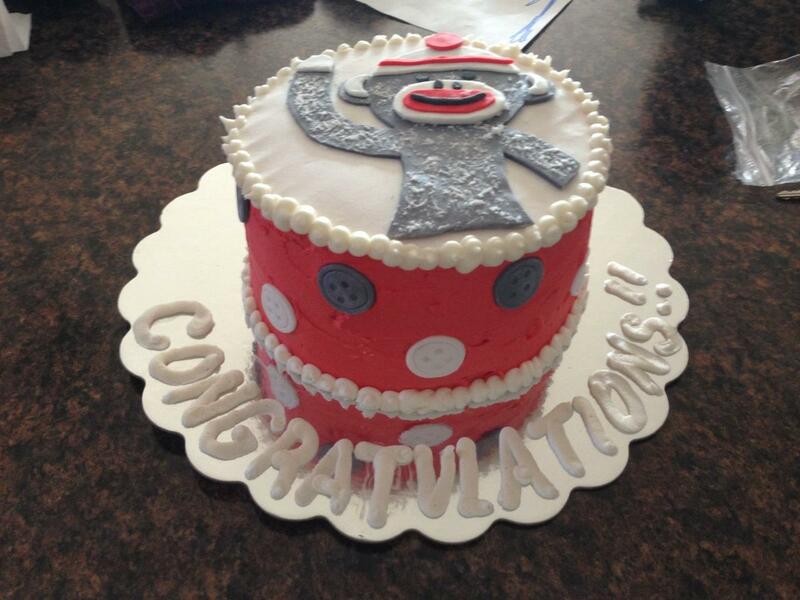 I also had a busy week with a Baby Shower cake and a Key Rack order… both turned out super cute!!! Everyone loves Sock Monkeys!!! This was a scratch marble cake with red homemade buttercream frosting and handmade fondant accents! 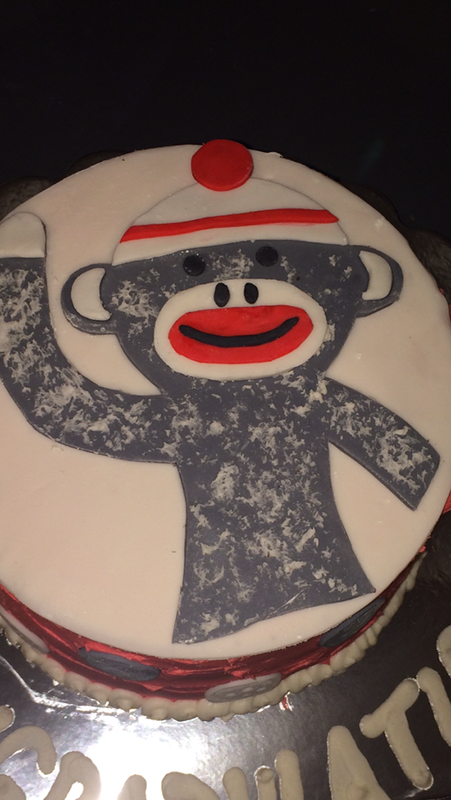 Little fondant buttons on the side and a hand-cut sock monkey topper! 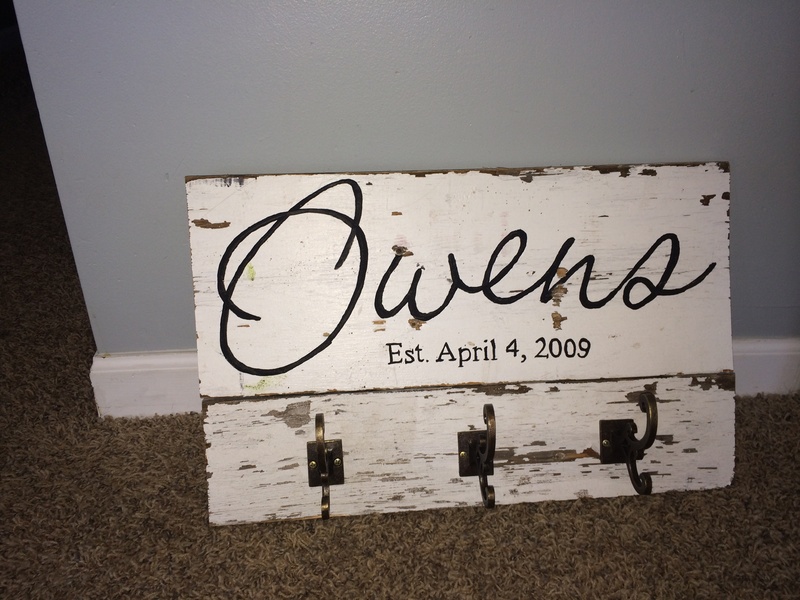 Love this wood that I got from the Hub’s grandfathers old shed! Super cute!! 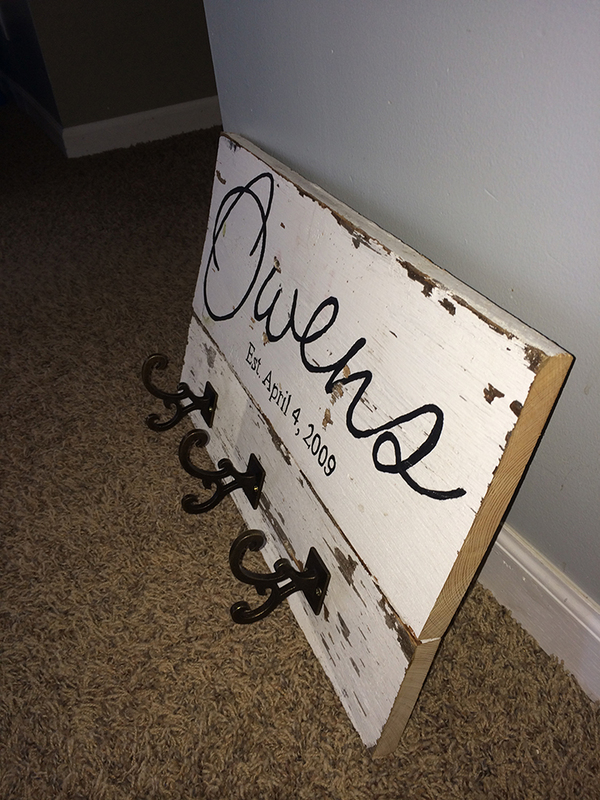 I am taking orders for all the home décor and holiday season baking!!! So make sure you get on my calendar as my month of November is INSANE, and I love it haha!!! Email me off my contact form on the top of the website! Love you all and hope you have an amazing week!! !